The rain gutters under the eaves of your house or business building can’t do their job when clogged with leaves or other debris. It’s dangerous to get up on a ladder and handle the mess of clearing out the gutters. That’s why we recommend you leave the gutter cleaning services in Yorktown Heights, NY, to the professionals. Exact Fit Seamless Gutters of Westchester, Inc. is a company that offers comprehensive service. We do everything from installation to repair and maintenance. Our owner has more than 15 years of experience in the business and is involved in every job we do. 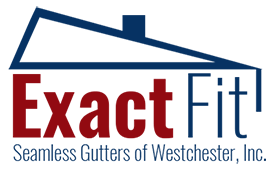 Rely on us for excellence in residential and commercial service. No matter what type of metal gutters you have, they simply can’t function when filled with leaves, branches, or twigs. However, there’s no limit to the debris that can be found. As gutters without guards are open troughs that can catch anything that falls from above. Something that’s especially nasty is when rodents or insects make homes in your gutters. 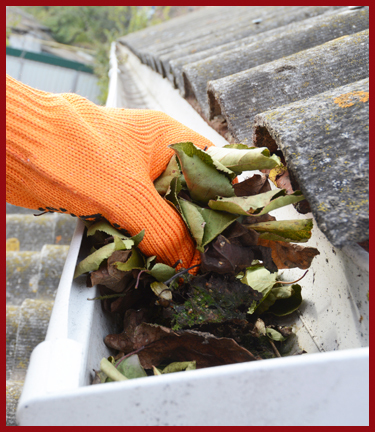 Whether leaves or nests, gutters cannot carry water away from the roof and walls of your house or its foundation. This means water can back up onto the roof and pool around the foundation, creating all kinds of damage above and below. Oversized gutters take longer to fill up, but any debris reduces the effectiveness. Your seamless gutters aren’t the only part of this system that can get clogged. This happens to the downspouts, too. These are essentially large pipes that carry the water from the gutters and spill it far from the house. However, debris backs up the water, causing it to overflow in that area and do damage to the outside, as well as the structure of your house. Gutter cleaning may seem like a simple job, but there’s more to it than climbing a ladder. Remember, there are numerous accidents that occur each year when people fall off a ladder or the ladder is not firmly anchored and tips. We do this while carrying gear that includes tools to do the cleaning. Essentially, it’s a matter of balancing on a ladder while removing leaves from a one, two, or many-storied building. As long as we’re cleaning, we also take the time for other maintenance, such as repairs. Gutters are often ignored, so there be other issues that need to be addressed so water flows freely through the gutters, down the spouts, and away from your house. Call us twice a year to clean your gutters for you. Contact us today to schedule a convenient day and time for gutter cleaning. We proudly serve residential and commercial customers in Yorktown Heights, Scarsdale, Mount Vernon, Poughkeepsie, and New Rochelle, New York, and many other towns and villages.